Love this item as it's helpful to know it adds an extra bit of moisture to my skin. The fragrance is light and refreshing and adds aromatherapy to my mood. I have not been able to use the other sprays, probably because of flower/lavender scents. This one is completely OK for me. I love it after I apply my Jane Iredale mineral makeup. It just makes it look "finished." Will purchase again. 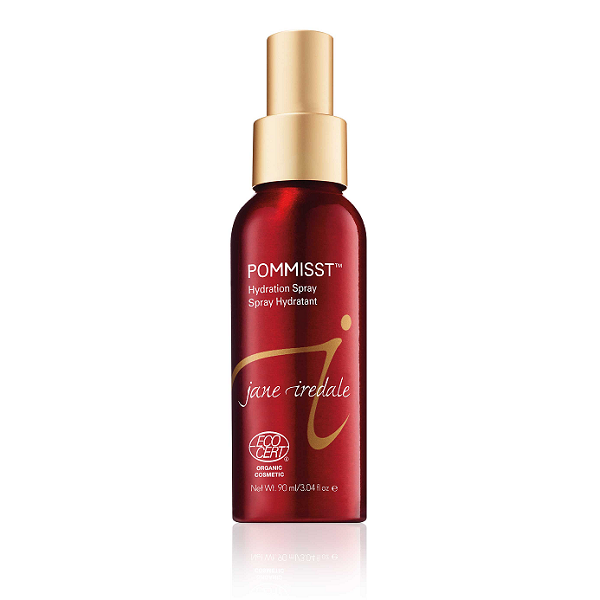 Jane Iredale pommist puts the finishing, glowing touch to mineral base powder. A salon used it for my mother-of-the-bride makeup and I loved the look, feel and smell. Had to start using it everyday. Lovely frangrance.. I do not wear make-up. This product freshens my skin. This is the best!! Anyone who uses mineral make-up should be using this hydration spray; It sets the foundation and gives an all-over glow to your face. Light fragrance is not irritating as with some of the other products. Truly a great product - use it everyday. I can't say that I have to "hold my breath" when applying as noted in the other comments - it's just a mist. 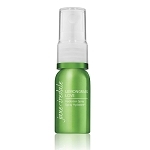 The is the best hydration spray I have used. Used with the mineral powder base, it really sets your makeup and makes your skin feel great. You do need to hold your breath when you spray it on.